Video footage from 1901 of "Miss Laura Comstock's Bag Punching Dog, Mannie." 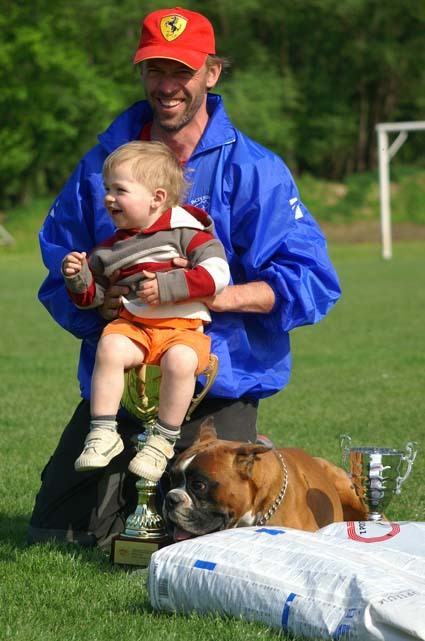 An excellently organized show with a large number of participants, part of the Canine Week at the Seaside, organized by the Bulgarian Kennel Club, judged by Mr. Laszlo Udvardy, President of MABOX (Boxer Club Hungary). Naturally, our ATIBOX friends took part in this assembly. We are happy to announce that our shows bring together more and more boxer lovers and the level of the dogs presented is constantly raised. Besides, they have a definitely positive impact on the life of the Bulgarian boxer community.